As new technologies are emerging in commercial and military applications, performance and testing become a critical process to determine compliance to standards and specifications. With the automotive industry constantly changing and adding new innovative technology, the need for testing either for research or manufacturing is more important than ever. Lithium-Ion Batteries are the efficient energy choice used to power the increasing popular Hybrid & Electric Vehicles of the future. To ensure performance of electrical and electronic components for vehicles, aerospace and commercial products, environmental testing under extreme conditions is critical to the long term reliability. There are all kinds of labs that provide testing of products and materials. This can include pharmaceutical labs, medical labs for research, University research labs, animal clinics, product testing labs such as for cosmetics, food, paper, etc. With an increasingly stringent regulatory market for medical devices that serve millions of patients daily, extensive quality control and compliance is required by manufacturers. As military product testing requirements have evolved, test chambers have become more diverse and are often customized to meet all environment testing needs. Museums, Libraries & Universities increasingly monitor their conservation & preservation of historical and important document & materials related to a wide spectrum of subjects and topics of interest. 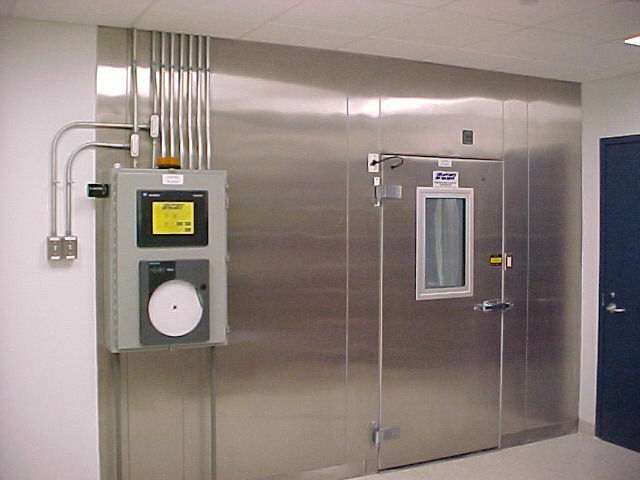 Since 1967, Scientific Climate Systems has been the industry leader in designing and building Dry Rooms, Environmental Test Chambers & Archival Vaults for various industries. Scientific Climate Systems will design and custom build your Dry Room, Test Chamber or Archival Vault to meet precise temperature and humidity control for your specific application.